Creating a Classroom Constitution - Students create a Classroom Constitution after brainstorming the rules they'll need to maintain order and fairness in the classroom. Importance of Rules - Classroom activity. 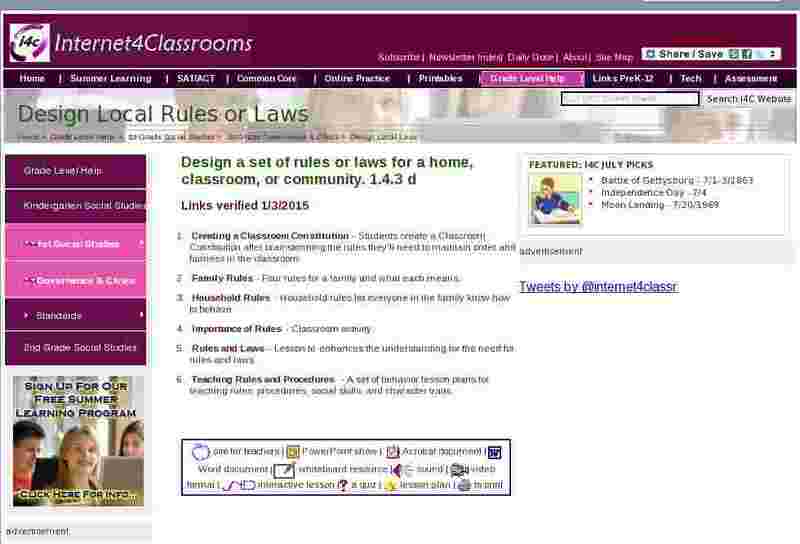 Rules and Laws - Lesson to enhances the understanding for the need for rules and laws. Teaching Rules and Procedures - A set of behavior lesson plans for teaching rules, procedures, social skills, and character traits.